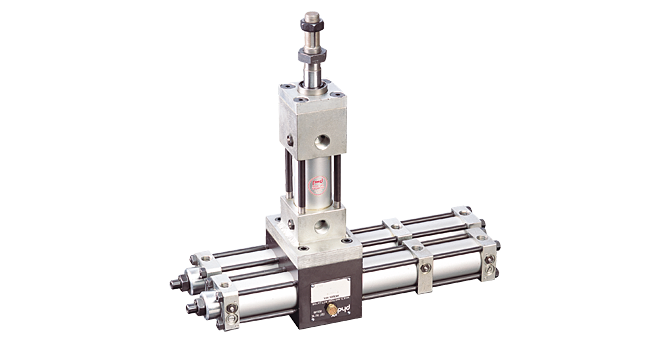 Multi-Motion Actuator | Multi-Position | 2000-8000 | PHD, Inc.
Series 2000-8000 Multi-Position Hydraulic & Pneumatic Multi-Motion Actuators feature internal stops which yield three, four, or five rotary positions. A double rack rotary section can be either pneumatically or hydraulically powered. Options include built-in adjustable cushions, shock pads, rod end styles, and magnetic pistons for use with Hall and Reed Switches. Series 2000-8000 Multi-Motion Actuators are ideal for part feeding and positioning applications. Offered 3, 4, or 5 rotary positions, pneumatically or hydraulically powered, four bore sizes available.